Very pleased with this purchase. Scent is just as described if you've done your research. Light, fresh barber shop feel. Someone described as a modern day Brute feel, and while I agree, Sartorial has a softer, more classical feel. Most important to me, it's a unique scent that you don't smell everyday. Definitely, a masculine, high quality barber shop fresh feeling to this one! 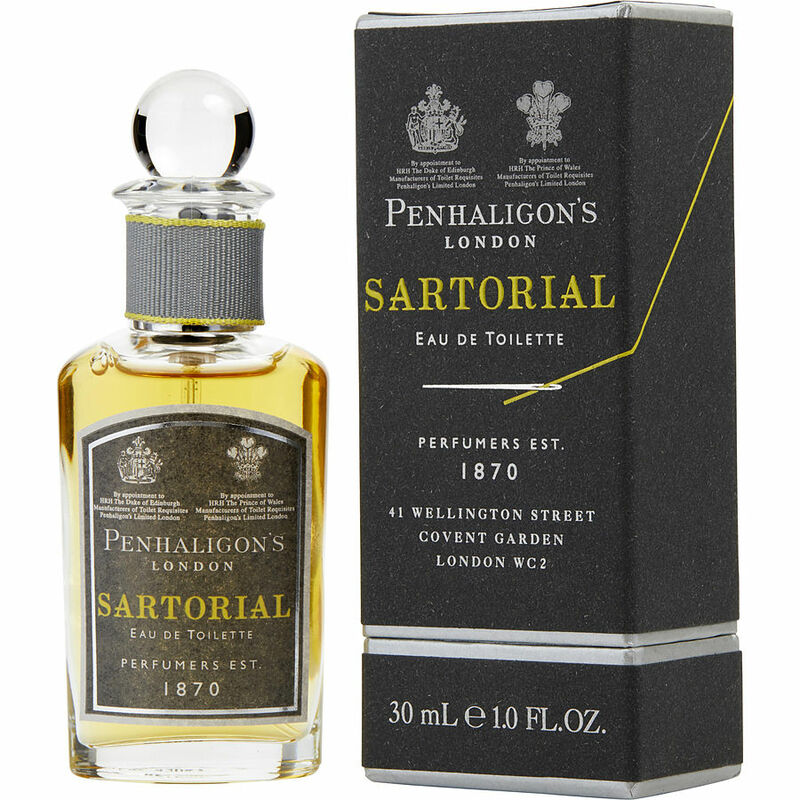 SARTORIAL PENHALIGONS Excellent fragrance ...very light and aromatic..very nice scent and a great price and service...very pleased with the shipping...great work guys. Sartorial is DA BOMB!!!! Ladies always come up to me and ask me what I am wearing. It is that type of scent. It reminds me of Clubman Talc by Pinaud. Very clean and Fresh but with a little more intrigue to add to its allure. This might be my staple. I love it. Not too many people will wear it so you most definitely will be standing out. Be different stay away from all the boring acqua di gio's out there. I enjoy Penhaligon's shave products so the EdT was a no brainer. My skin eats most fragrances alive, even EdP's so I was thrilled to get 6-8 hours out of it. I can't pick most notes out I just know what I like and don't like, love me some Sartorial!